We are right on the verge of the cold and flu season and sometimes, no matter how hard we try, we still catch a bug. If you have kids in school, ride public transportation, or work with the public, chances are doubly good that you will get at least one virus this year. Health authorities are going to be pushing their mercury and preservative laden vaccine, as they always do, but you should avoid those toxic injections if at all possible. There are plenty of things you can do to avoid getting sick such as frequent hand washing, drinking a lot of fluids, be sure you get your rest, keeping your immune system in tip top shape, and eating a healthy diet, but on top of all that, there are things right in your own kitchen that can help see you through a bout with the flu. 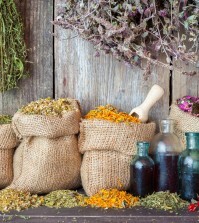 Read on about the top 12 spices and herbs you can use to kick the flu bug this year and skip the vaccine. We put these two together because almost everyone has this in their kitchen cabinets and both have powerful anti-inflammatory compounds. Turmeric has numerous health benefits, including antioxidant, antiviral, antibacterial, antifungal, anticancer compounds combined with plenty of antioxidants. Cinnamon is also a great antibacterial that you can use every day in a wide variety of foods. Add a half a teaspoon of cinnamon to a pot of coffee for a tasty, but simple way to get a dose of antibacterial compounds in your belly before the day begins. Turmeric supplements can be taken in supplement form before the flu actually strikes, to help improve the immune system and give your body the strength it needs should you get hit with the flu. 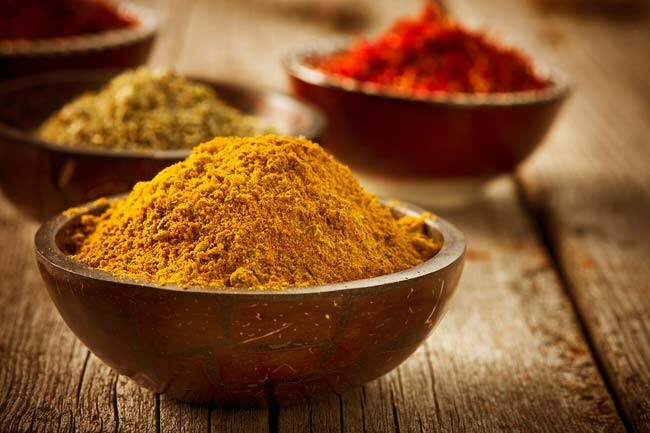 In a study done in 2009, rats there were given curcumin rich turmeric were better able to fight off the flu than those who did not receive any turmeric. This was published in the journal Emerging Infectious Diseases. Stop thinking of ginger as something to clean your palate while eating sushi. Ginger has been used for centuries as medicine. 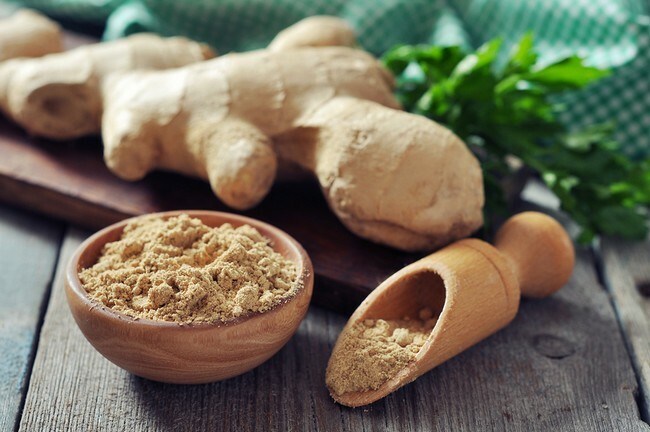 It can help stop upset tummy’s and calm nausea, and its main ingredient, gingerol, is a well-known anti-inflammatory that can help ease headaches, and clear out the sinuses when you have a cold or flu. Eating a healthy dose of ginger can also help your body sweat out toxin. Steep a bit of fresh ginger root in some hot water to make a healing tea, eat it raw, or use it in some of your favorite food dishes. Ginger is great for reducing fevers, encourages coughing to remove mucus, and soothes sore throats. Ginger is also well known for stimulating the circulation and opens up your sinuses so you can breathe! Research done at the Toyama Medical and Pharmaceutical University in Japan showed that ginger can not only help with flu symptoms and shorten the duration, but it can help prevent the flu as well. More than the words in an old song from the 70’s, thyme works great as a natural expectorant to clear out your lungs and your sinuses. It’s easy to make tea from dried thyme and it’s available everywhere. If you want to loosen up that chest congestion or stuffed up head, simply steep about 2 teaspoons of dried thyme in a cup of boiling water for 10 minutes. Strain, and add a touch of lemon and raw honey. Drink this tea throughout the day until you get relief. You can also breathe in the steam from your thyme tea or put some thyme essential oil in a diffuser for relief. Is there anything garlic is not good for? OK, your breath aside, it’s some serious medicine, no matter how you take it! 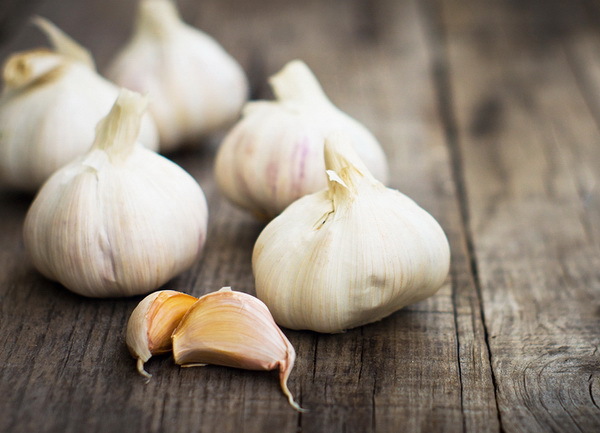 Garlic is one of the best immune boosters around. It’s well-known that people who eat a lot of garlic get very few viruses. Garlic’s active ingredients are alllicin, and allion, both of which are powerful antiviral and antioxidants that are great at fighting off viruses. If you can deal with the strong taste, lightly crush two cloves of garlic and swallow them whole to keep colds and flus from finding you. In 2007 garlic was reported to help prevent the common cold as well as fight symptoms, according to a study published in the BBC. If you can’t deal with that, simply add garlic to your daily food dishes, or take some supplements. Maybe one of the best things about eating some raw garlic is that your breath just might keep people who are sick at a safe distance! This plant is what gives licorice its great taste, but it also has strong antiviral properties. 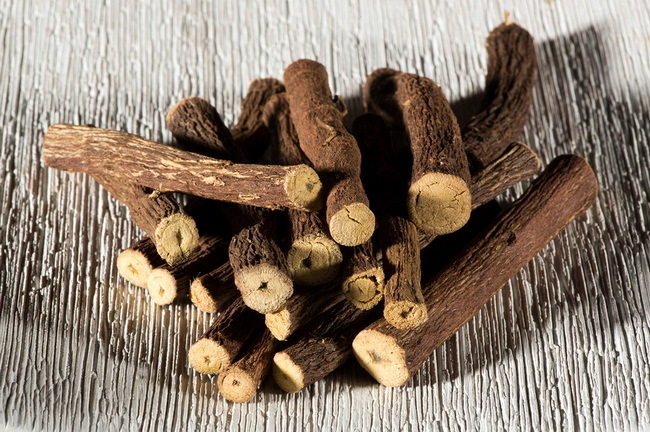 If you like the taste, drink licorice tea, if you aren’t crazy about the flavor, you can take supplements, but just be sure you buy the real, organic licorice root. Many products on the market do not actually contain licorice but just anise seed, which has a similar taste and smell but does not have antiviral properties. In animal tests, those who were injected with the lethal doses of the flu one day and then licorice root for the following four days were still alive 21 days later. The other group, which was also given the flu but only saline injection, all died within 10 days. This study was done by scientists at the University of Texas. Be aware that, if you are taking medication, licorice root can interfere with a few of them, so talk to your doctor first. 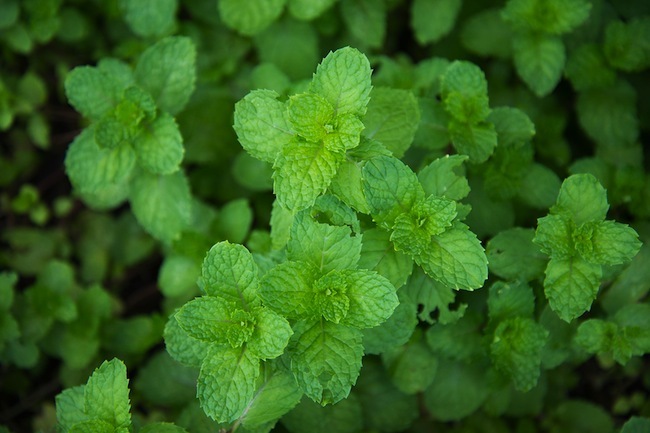 The refreshing taste of lemon balm appeals to everyone and it has strong antiviral compounds. Lemon balm is well known for fighting and preventing the flu or the common cold and has been used since at least the Middle Ages. Lemon balm works great with chamomile or mint tea to enhance its effects. For kids, this is a perfect solution as you could mix it with some sparkling water and have a soothing, yet powerful, lemon balm “soda”. Lemon balm is often used as an anti-stress medication so it’s perfect for calming down those stressed out sick people in your house so they can get some much needed rest. Lemon balm is also good for fever blisters and cold sores that sometimes accompany the flu. Drink lemon balm tea or make your own by adding about 1 teaspoon of the dried herb for every cup of boiling water. Steep for about 10 to 15 minutes, then drink warm. To gain all the essential oils your body needs, leave the herbs in the cup. Don’t worry, they will simply settle to the bottom. 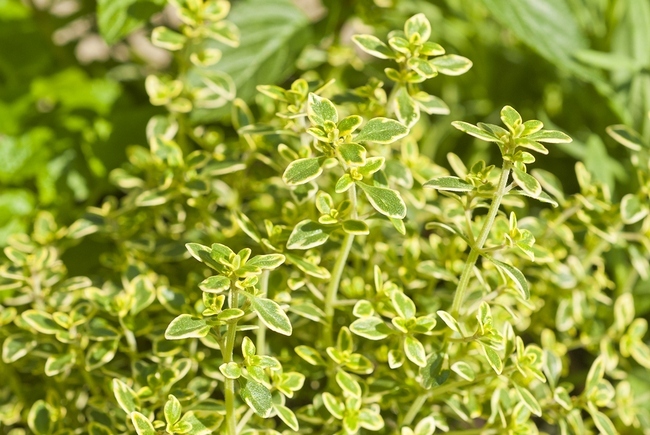 This is the perfect herb for soothing the pain of a sore throat or nagging cough. Make a tea with sage, let it cool until it’s just warm, and then gargle for some relief. You could also just drink the tea with some raw honey to stop a cough. 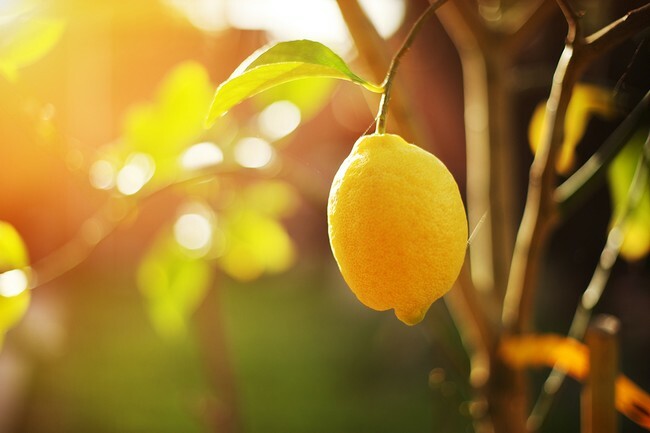 A great homemade tea recipe is to mix 2 teaspoons of dried sage mixed with about 1 tablespoon of fresh organic lemon juice. Boil a cup of water and steep the sage for about 10 minutes. Strain out the sage and add your lemon juice. 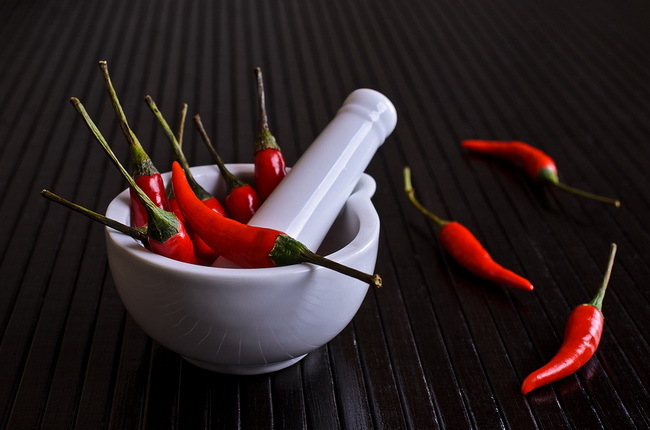 A couple pinches of cayenne pepper will help break up congestion but it isn’t necessary. Add a tablespoon of raw, organic honey and watch that sore throat and nagging cough become history! Find out other natural sore throat tea recipes. Sage is also a great expectorant so if you have one of those colds that tend to settle in your chest, drinking two or three cups of sage tea every day should help relieve the congestion. Note: if you are a breastfeeding, avoid sage as it can dry up your production of milk. As soon as the flu season begins to peak, elderberry always seems to come up in short supply at the health food stores, so perhaps you should pick up a few packages now. The extract from elderberries is called sambucol, and it works so well, word has gotten around. A study done in 2008 showed that 93 percent of subjects with the flu who took elderberry supplements daily were completely symptom free within 3 days! 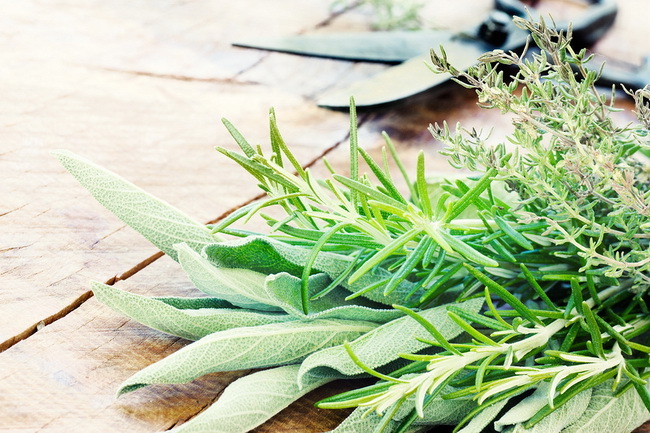 The flu strain used in this study was influenza B and there have not been studies that show it works with influenza A, but many people will tell you that taking this herb has stopped their flu symptoms almost dead in its tracks within days! Elderberry grows in almost every country on the planet, and it cuts the severity, as well as the length, of the flu. Drink elderberry tea, or take supplements, at the very first sign of the flu. 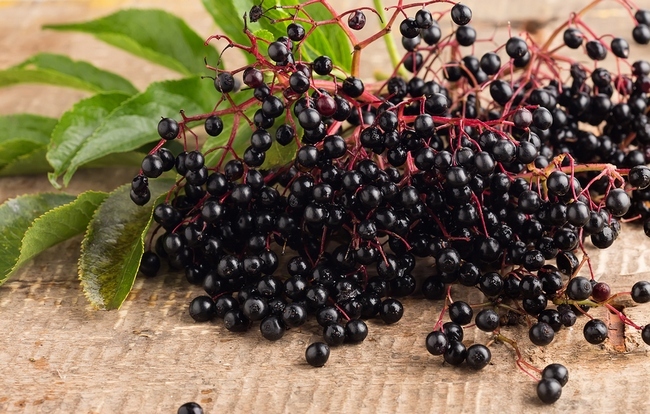 Elderberry has strong anti-inflammatory and antiviral compounds but keep in mind that this herb is for treating the flu, not preventing it. Zinc is a great way to kick a cold to the curb. Taking zinc at the first sign of a flu can often stop it in its tracks and prevent it from kicking you straight to your sick bed! There are zinc lozenges for sale, and combining zinc with elderberry tea is the sure-fire double whammy. In fact one study showed that taking zinc regularly helped to prevent colds! This study was done at John Hopkins School of Public Health and published by the Cochrane group. This is great news because there aren’t many other remedies that seem to stop colds from happening. This study involved 1,360 persons, and is proof positive that zinc is a great way to stop colds and shorten the duration of the flu should you become infected. 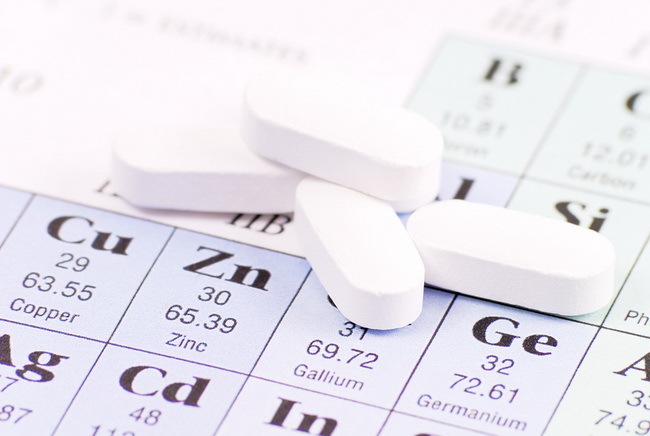 Zinc interferes with the ability of rhinoviruses, the bugs that cause colds, to reproduce. It also stops them from being able to sit on cell membranes and cause infections. One of the most popular herbs to improve your immune system while shortening the duration of the flu. You should be careful to buy a high quality, well-known brand as many of the products for sale have such as small amount of Echinacea in them that they won’t do you any real good. If you have allergies to pollen or ragweed, you might want to choose another herb as this might kick up your allergic reactions. 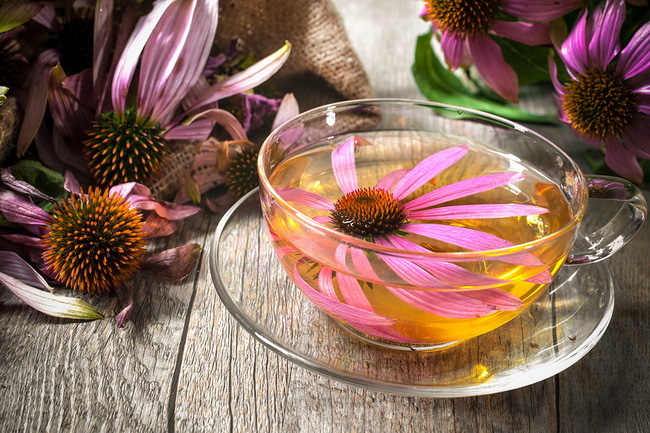 Make your own Echinacea tea by putting about 3 droppers full in one cup of hot water. Echinacea grows all over the US and Canada and has been used by the Native Americans for its medicinal properties for hundreds, if not thousands of years. Echinacea seems to work better with influenza than the cold virus, but since it also improves the strength of your immune system, it’s a sure bet to help you fight off any virus! If you like it hot, then this remedy is for you. Although many people only think of cayenne pepper for their Latin American, Southwestern, and Asian foods, it can work great for that clogged up head. When you have a cold or the flu, adding a good dose of cayenne pepper to your chicken soup, tea, whatever you are eating, it will seriously help clear up those sinuses. Once mucus begins to leave the body, the relief of many flu symptoms soon follows. It also helps the body produce saliva, which can help soothe a sore throat. It stimulates the lymphatic system and that can help remove viruses from your body through its detox action. 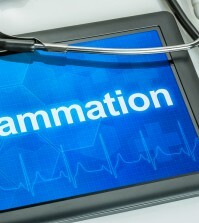 Cayenne peppers active ingredient is in a compound called capsaicin, which is a natural pain reliever as well. It has strong antibacterial properties, too, so if you are hit with the stomach flu, making a tea or soup with some cayenne pepper in it can help kill the bacteria causing your symptoms. Although mint won’t actually kick the flu to the curb, it will make you feel better while you try to recover. The main compound in mint, menthol, will help to open up your nasal passages, and its cooling sensation will help with a sore throat. When you have moist mucus in your throat it keeps the virus trapped there so you want to get that mucus moving, either into your stomach so the acid there can kill it, or blow it out your nose so it’s out of your body. Drinking mint tea can help improve your immune system as well so you can better fight off viruses. Don’t forget to give your body plenty of time to rest so it can fight the virus and recover. So mix up a pot of herbal mint tea, or add some fresh mint leaves to some boiling water and breathe in that healing steam.